Dr. Thomas Grier Long is the Bandy Professor of Preaching at Candler School of Theology at Emory University in Atlanta, Georgia. He received his Ph.D. from Princeton Theological Seminary in 1980. He began his career as a preacher at McElroy Memorial Associate Reformed Presbyterian Church near Atlanta, Georgia and since that time has taught at a number of seminaries, including Erskine, Columbia, Princeton, and Candler. 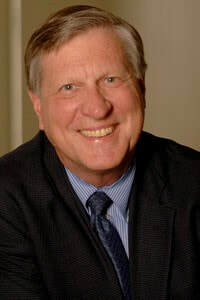 In 1996, Dr. Long was named one of the twelve most effective preachers in the English speaking world by Baylor University, along with the likes of Fred Craddock, Billy Graham, James Forbes, Barbara Brown Taylor and William Willimon. He was ordained in the Associate Reformed Presbyterian Church and currently a minister in the Presbyterian Church (U.S.A.). He is married to professor of sacramental and liturgical worship Kimberly Bracken Long. Dr. Long's field is in Homiletics and is a strong proponent of the two pillars of preaching: strong exegetical work held alongside with strong presentation skills. Preaching magazine named his Witness of Preaching one of the 25 most influential books on preaching in the past 25 years. A standard textbook in seminary and undergraduate preaching courses, the book advocates exegetical method seeking to discern a claim from the text to provide clarity of focus and function in sermons.